VMware announces a new product package based on vCloud Director and vSphere Enterprise Plus called vCloud Suite. Existing users of vSphere Enterprise Plus (with valid SnS as of 8/27/2012) – including Academic and Federal users – may qualify for a “free” upgrade (actually $1/CPU) to “Standard” edition of vCloud Suite. Likewise, users with valid SnS and vSphere Enterprise (not Plus) qualify for a reduced cost upgrade to vCloud Suite Standard at $682/CPU. Qualifying users have until December 15, 2012 to complete the transaction. Upgrades to other editions of vCloud Suite from Enterprise and Enterprise Plus are available as well – at additional cost per CPU. 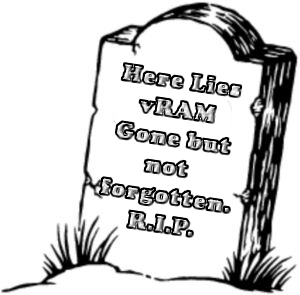 VMware effectively kills vRAM by including “unlimited” vRAM entitlements in all editions of vSphere. SMB’s may be pleased to note that VMware also now includes the vSphere Storate Appliance with all acceleration kits except vSphere Essentials at no additional cost (versus vSphere 5.0 kits). This is especially good for ROBO operations using Essentials Plus. The standalone cost for vSphere Storage Appliance is now $3,495.